P.s I already know what you’re going to note us about, so please don’t bother. First off, we’re doing the LIGHT NOVEL, while he did the webnovel. Secondly, we already got his approval even thought he did it as a side project too, so yeah. Wondering if you know, Lavyrde has translated this up to chapter 7 (or whatever the chapter with the first mention of water wheels). And once again I forgot the disclaimer. Actually, should it even matter since Lavyrde himself put a disclaimer saying we’re doing the light novel and already got his approval? I’m thankful for the concern, though. Thanks for taking this project. I am curious to see how the LN is in regards to the WN. Thanks for your work and I can’t wait to enjoy it. I rather like these kind of books. Sort of like A Yankee in King Aurthur’s Court, but faster and more realistic. Much better than a super-genius handyman chemist-blacksmith-carpenter being the main character. For those who refuse to read both larvyde and this disclaimer, yukkuri’s is the WN, like larvyde (he also got permission from larvyde and it doesn’t clash woth this one). There are currently 3 LN volumes. I see only prologue here. Did you drop this translation? Maybe somebody else translating it? Somebody else is translating it. Hello, who’s translating this now?? Thanks. 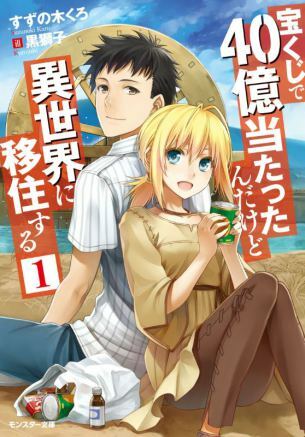 I am confuzzled, why is there just a prologue here, is someone translating the light novel? If so, where? Is there something going on that I don’t know resulting in whatever here?